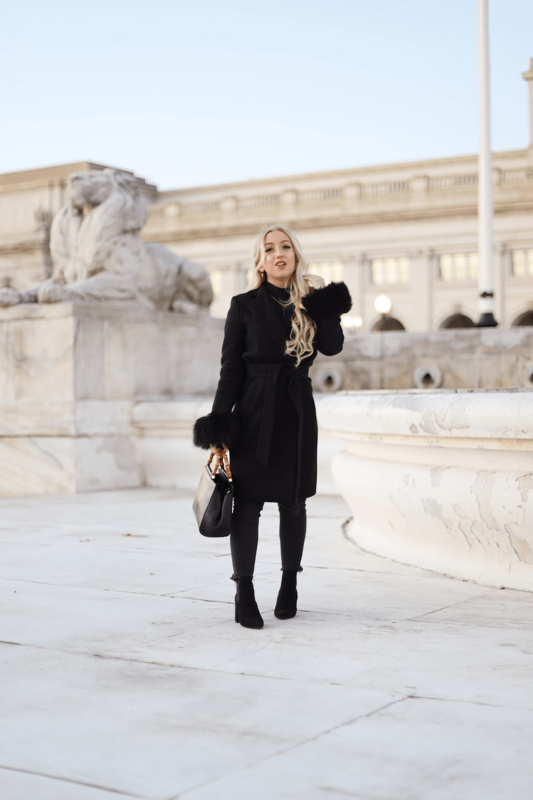 The weather in Washington DC has been very cold lately - the perfect excuse for writing a blogpost about one of my favorite Winter coats! 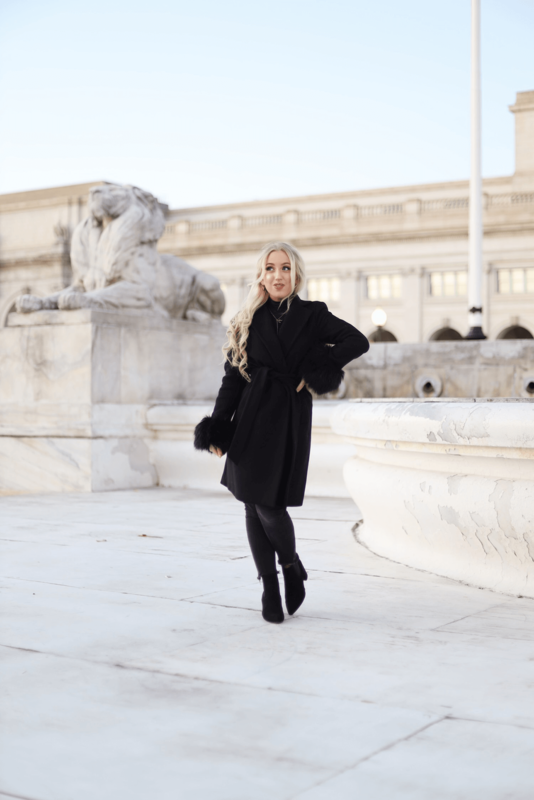 Finding the perfect coat for the colder months can be quite challenging, especially since there are so many different styles out there. I always recommend sticking to a very classic style, such as a woolen coat or a faux fur jacket. Not only will these coats keep you warm, they will also last you for years. 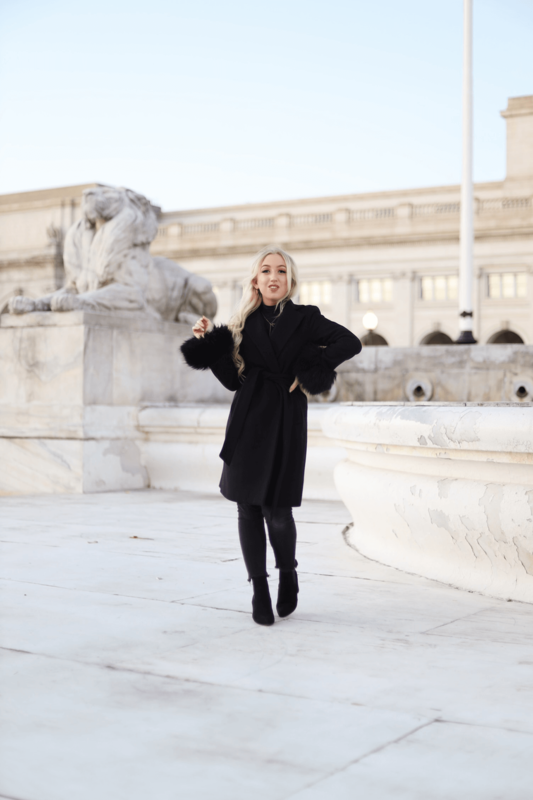 In this blogpost, I want to show you my all time favorite Winter coat and how I style it! This coat really channels my inner Russian vibes. I think the cinched in waist and the faux fur rims around the sleeves give this coat such a feminine & classy look. 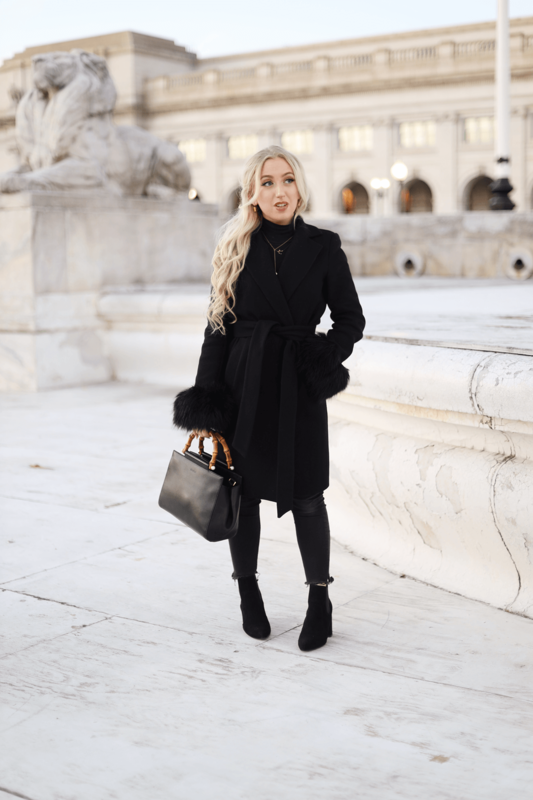 I got this black coat last year from Zara, and I have been wearing it lots this year too. That is something I have noticed in general about my wardrobe. I have slowly, but surely transitioned my closet from trendy pieces into classic items I keep re-wearing every year. I can now safely say I have developped my personal capsule wardrobe, and I love it. Not only does it save me a lot of coin, I also feel more comfortable investing in high-quality pieces, knowing that I will love them for years. Unfortunately I cannot link the exact coat I have for you, but I have linked some suggestions with the same look and feel. WHAT IS YOUR FAVORITE COAT FOR THE WINTER SEASON? P.S. Want to see more of my all time favorite coats? Check out this blogpost about my favorite baby blue coat for Winter! Very pretty coat my dear!! Been loving wearing a coat these past few days whilst home in England which makes a change for all year round t-shirt weather! I am in love with this coat! I am currently looking for some blush color winter coats. I love the blush color. Wow what a pretty outfit! I love a totally black outfit in the winter. I love this coat, Lilia! It definitely makes a statement, yet very much looks like a classic. You carry it off so well!